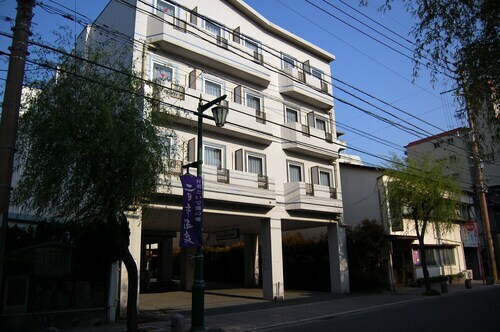 Situated in Dazaifu, this aparthotel is close to Dazaifu Tenmangu Shrine, Dazaifu Tenmangu, and Komyozenji Temple. Also nearby are Kyushu National Museum and Kanzeonji Temple. 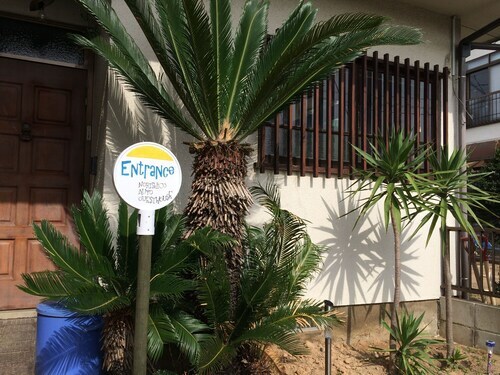 Situated in Dazaifu, this hostel is within a 10-minute walk of Komyozenji Temple and Dazaifu Tenmangu Shrine. Dazaifu Tenmangu is 0.5 mi (0.8 km) away. Dazaifu Station is 7 minutes by foot and Dazaifu Nishitetsu Gojo Station is 13 minutes. 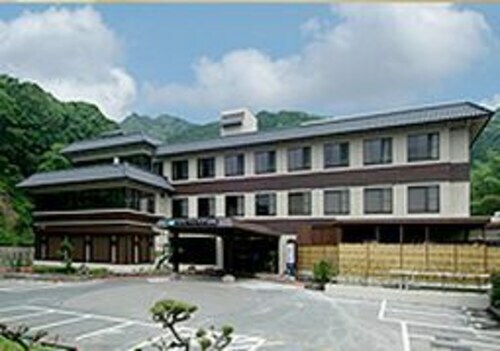 Situated in Chikushino, this hotel is 2.3 mi (3.6 km) from Dazaifu Tenmangu Shrine and 2.3 mi (3.7 km) from Dazaifu Tenmangu. Tosu Premium Outlets and Port of Hakata are also within 12 mi (20 km). Chikushino Futsukaichi Station is only a 2-minute walk and Chikushino Murasaki Station is 5 minutes. 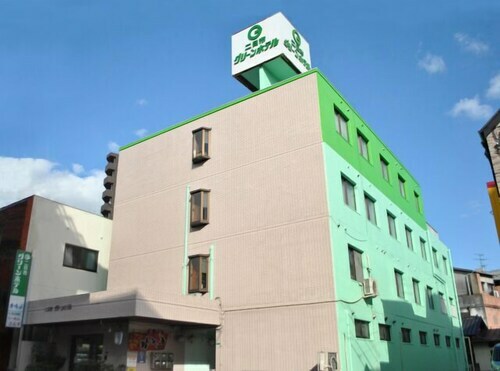 Situated in Chikushino, this hostel is within 3 mi (5 km) of Musashi Temple, Dazaifu Tenmangu Shrine, and Dazaifu Tenmangu. Kanzeonji Temple and Komyozenji Temple are also within 3 mi (5 km). Chikushino Murasaki Station is 11 minutes by foot and Chikushino Futsukaichi Station is 14 minutes. Situated in Chikushino, this hotel is within 3 mi (5 km) of Kanzeonji Temple, Dazaifu Tenmangu Shrine, and Dazaifu Tenmangu. Komyozenji Temple and Kyushu National Museum are also within 3 mi (5 km). Chikushino Futsukaichi Station is 11 minutes by foot and Chikushino Murasaki Station is 15 minutes. Located in the heart of Chikushino, this ryokan is within 3 mi (5 km) of Kanzeonji Temple, Dazaifu Tenmangu Shrine, and Dazaifu Tenmangu. Komyozenji Temple and Kyushu National Museum are also within 3 mi (5 km). Chikushino Futsukaichi Station is 13 minutes by foot and Chikushino Murasaki Station is 17 minutes. 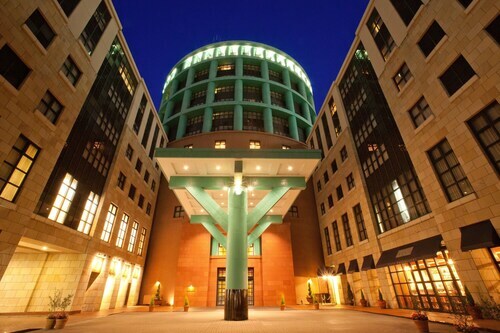 Located in Hakata-ku, this hotel is within 1 mi (2 km) of Amu Plaza Hakata and Canal City Hakata. Hakataza Theatre and Fukuoka Anpanman Children's Museum are also within 2 mi (3 km). Fukuoka Hakata Train Station is 8 minutes by foot and Higashi-hie Station is 10 minutes.